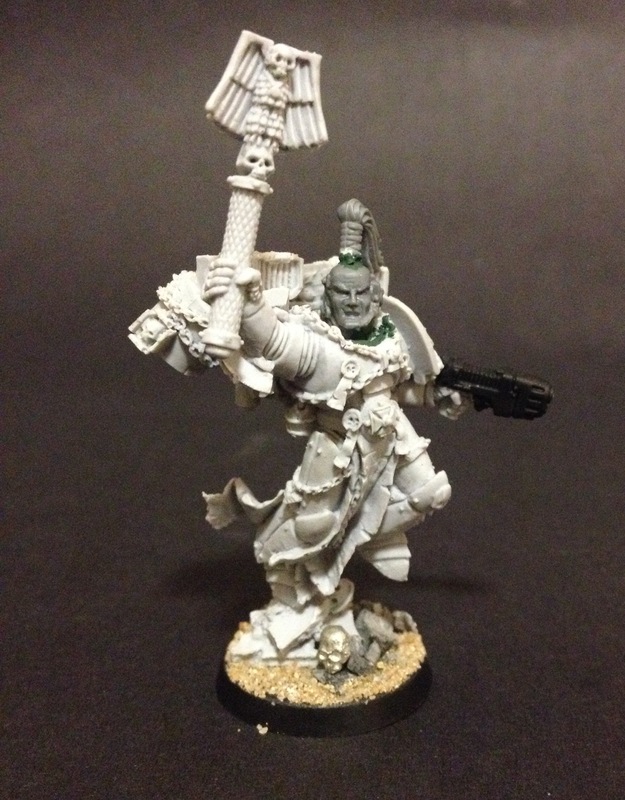 I just wanted to quickly share with you what I’ll be working on this weekend – my slightly converted Mortifactors Chaplain. And as a treat, I’m also going to try to do a little time-lapse thing (if I can work out how) of painting him – no promises though. 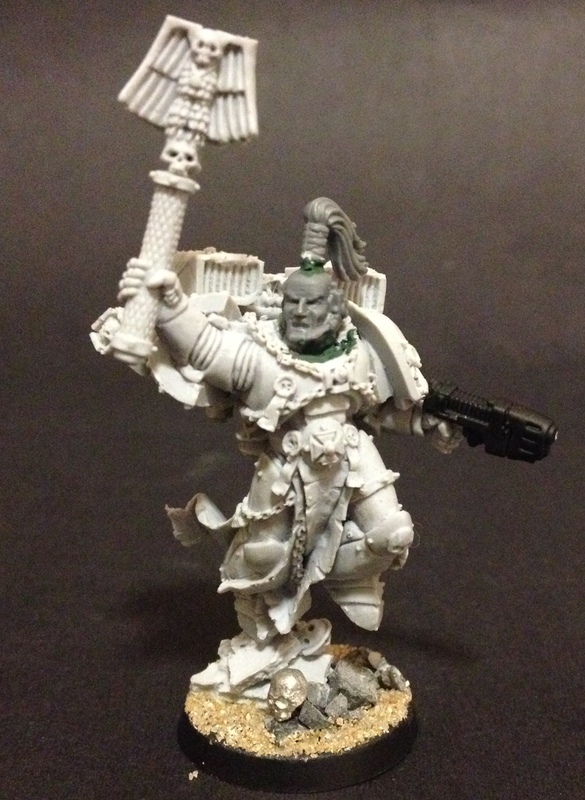 It’s a slight conversion – nothing major although chopping off the model’s head was a real pain. Finecast is easy to cut through but this guy practically had his chin on his chest and so taking it off was a chore that required some cleaning up afterwards. I replaced the helmet with a bare head from the Space Marine tactical squad box and added a topknot from the head of an old Chaos Space Marine. The bolt pistol was a lot easier to cut away and that has been replaced with a plasma pistol, again from the tactical squad box. I figured, if I’m going to take a chaplain, I may as well give him a little AP2 kick. Then there’s the basing, a few rocks, some sand and an old metal skull. Done. Mortifactors revere their chaplains more than any others and they are on a par with Captains within the chapter. They guide the chapter’s actions and can enter trances that both predict the future and seek out their enemies. Because of this, I knew I had to take a Chaplain, despite them not being a particularly useful unit in the current codex, and also because I’ve never been a huge fan of painting big slabs of black. That’s why I wanted to convert this one and make him unusual. I couldn’t recall seeing a Chaplain before with a bare face, so this one should sit apart from most others. Anyway, that’s what I’m up to this weekend – how about you?